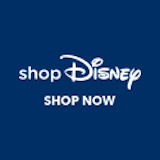 Direct Sales Rebound in August 2018 - DVCNews.com - The essential Disney Vacation Club resource! After selling only 143,780 Disney Vacation Club points in July 2018 for the 10 resorts located at Walt Disney World, sales increased in August to 168,027 points. For the calendar year, direct sales are averaging 192,610 points a month, which is comparable to the 193,004 that sales averaged in the first eight months of 2017. Year-over-year, are still down compared to the 201,247 points sold in August 2017. Copper Creek Villas & Cabins at Disney’s Wilderness Lodge — In August 2018, 134,373 DVC points were sold for Copper Creek, marking the eighth consecutive month that the resort has topped the 100,000-point plateau. The resort has now sold 1,634,836 points, which is 49.2% of its 3.321,966 total points. Disney has also reacquired six Copper Creek deeds containing 995 points. The average Copper Creek deed contains about 150.1 points. This is higher than the size of the average deed sold for either the Villas at Disney’s Grand Floridian (141.7 points) or the Polynesian Villas & Bungalows (131.0 points) during their respective prime sales periods. At the current rate of sales, Copper Creek should completely sell out in about 12 months. Even if future sales slow to about 100,000 points a month, Copper Creek would still sell out before the end of 2019. Disney has declared 111 of Copper Creek’s 184 vacation homes for the DVC inventory. In terms of points, 66.5% of the resort’s points have been declared. The last declaration was made on July 12, 2018, and Disney has about 570,000 points that have been declared but are not yet sold. Given the rate of sales, Disney will probably make another declaration of inventory for Copper Creek in next four weeks or so. The sales data includes all 10 DVC resorts at Walt Disney World, as well as Disney's Vero Beach Resort, Disney's Hilton Head Island Resort, and Aulani, Disney Vacation Club Villas. Point sales data is not available for the Villas at Disney's Grand Californian Hotel. The data is compiled from deeds filed by Disney Vacation Development and recorded with the Orange County (FL) Comptroller, the Indian River County (FL) Clerk of Court, and the Beaufort County (SC) Register of Deeds.